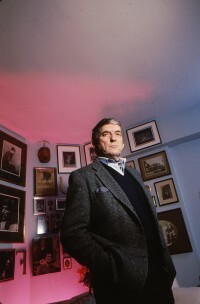 John Frid – also known by his stage name Jonathan Frid – was an accomplished actor with a 50-year career that began in a school play at Hillfield School, the precursor to Hillfield Strathallan College. He pursued his love of acting at the Hamilton Players’ Guild and, after serving in the Royal Canadian Navy during WWII, John graduated from McMaster University in 1948. He went on to the Royal Academy of Dramatic Arts in London and later to the Yale School of Drama. 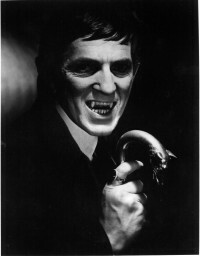 To the public, he was best known for his role as vampire Barnabas Collins in the gothic TV daytime drama Dark Shadows that aired 1,225 episodes between 1966 and 1971. He received a reported 6,000 fan letters a week at the height of the show’s popularity and continued to attend Dark Shadows festivals throughout his life. But that role was just one aspect of a distinguished career that included starring roles in theatre and television in the U.S., Canada and England, opposite stars like Katharine Hepburn and Jean Stapleton. John believed in the Foundation as a way of supporting a vibrant community. His father Herbert Frid was one of the founders of HCF in 1954 and his mother Flora served on the Foundation’s Board in the 1960s. Their generous philanthropy continues to this day through the Community Fund’s Herbert P. & I. Flora Frid Fund. Their son is following in their footsteps. “My uncle John was warm, encouraging, and generous, like his mother was,” says Don. John established his fund in 2002 and enjoyed seeing the difference his gift made during his lifetime. His gift ensures that the John H. Frid Fund will continue that legacy to the Hamilton community he loved.